Creative 360 will host a Yes We Can! 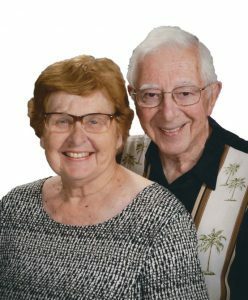 Tuesday Tribute featuring Carl (87) and Patricia (81) Price on Tuesday, April 23, 2-3:30 p.m. as they share their knowledge and experiences in our national parks. Enjoy lively conversation, tea and treats. Admission is $5. Carl and Pat Price have led hiking trips to our National Parks since 1988 after some adults requested a trip like the church youth had just returned from. Since then, they have led about 35 groups to 16 different national and provincial parks. They will take us on a trip of sorts as they share what we might see when we get off the bus or out of the car and spend some time in a park.